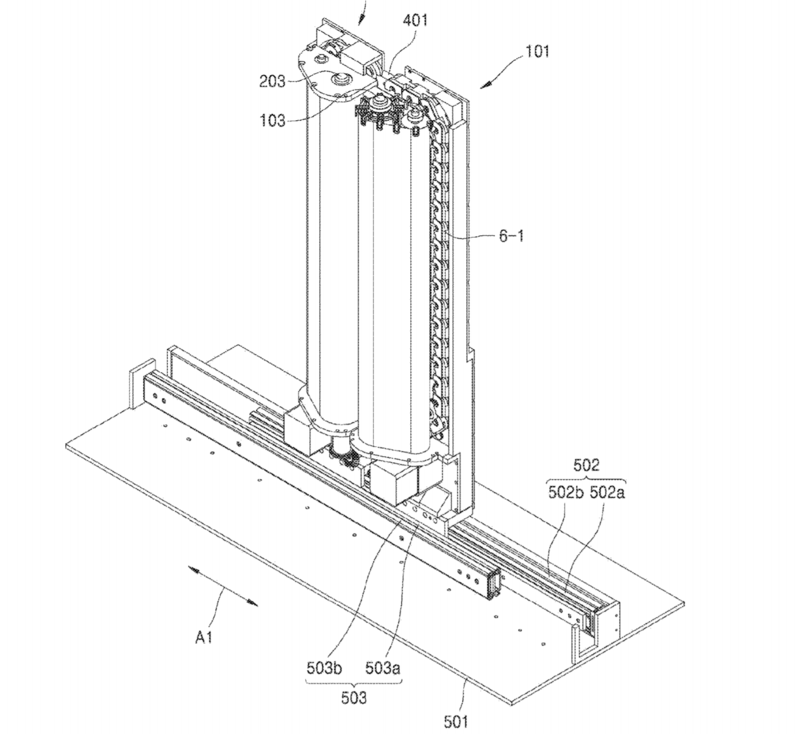 Unlike LG's OLED offering, Samsung's patent is for horizontal rolling displays. A vertical structure on each side of the display holds each end. The first tower contains the majority of the display on a roller, while the second exists mainly for mechanical support. It is a significantly different challenge to get a flexible display to remain flat across a horizontal plane compared to a vertical installation. Samsung does not seem as concerned about whether its concept TV can be completely hidden into a home. However, noting Samsung's current lineup of QLED TVs, the company appears more focused on showing off their products in a way that seems natural. For example, The Frame TV turns into artwork instead of blending in with walls. One of the advantages that Samsung does hold is that its system makes rotation of displays an option. Sitting in a different chair today? Use a remote to angle the TV more towards where you are sitting. Of course this is just a concept and not a direct indication that a product will ever have this feature, but it seems reasonable for a TV with a five figure price tag to have the option. Should rotation not be a need, Samsung could also adapt its horizontal rolling system to move along a curve, giving the option of a curved or flat display. Switching between flat and curved displays at will could also be an interesting idea. Whether any of these ideas will ever make it to market is unknown. CES 2019 should bring further clues as to where rollable displays may be useful, even if it will still be several years before mere mortals are able to afford them.